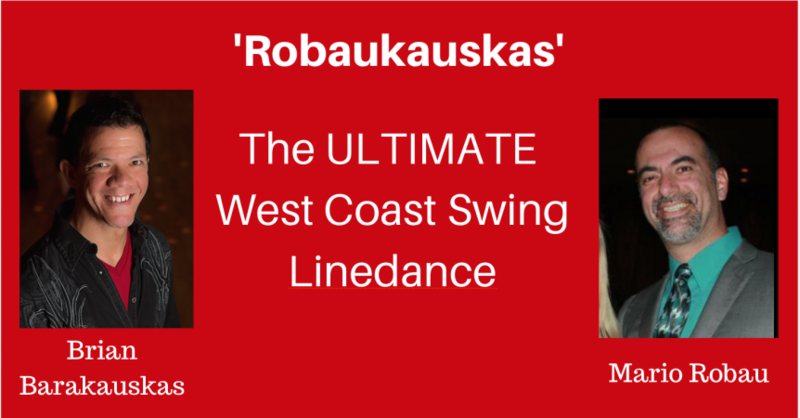 Mario Robau and Brian Barakauskas combined to create the ultimate West Coast Swing linedance, the Robaukauskas! Its a 64 count 1 wall dance that incorporates the basic leader and followers footwork into a linedance format. It works great to any 32 or 64 count phrased song but the one we suggest on the step sheet is Fire by Tessanne Chin. This track is fast so feel free to use any slower 32 or 64 count phrased music. Want some cool WCS stuff FREE? Email me at westcoastswingonline@gmail.com and I’ll send you the step sheet.